Expounding upon the obstacles of these gatherings, Bekhrad explained, “The guard had to sit at the front door and skim through a primitive paper list of over 200 names. Seeing this at every party we hosted and attended, we realized that this was inefficient, and more importantly, unsafe.” As a result of these countless experiences, Bekhrad, Asherian, and Pourmorady realized that if they just listened to their market, they could create a solution. With one clear vision in mind, they created Loop. The beauty of Loop lies in its simple interface and secure ticketing. Using Loop to host a party entails a simple process: downloading the app, inviting friends, and leaving the rest to technology. Loop distributes one-time, non-transferable Loop Tickets that makes it nearly impossible to crash. Loop has now been on the App Store for around six months. As Pourmorady explains, “We are now building our Version 2.0 product for the college market that will launch in a few months. 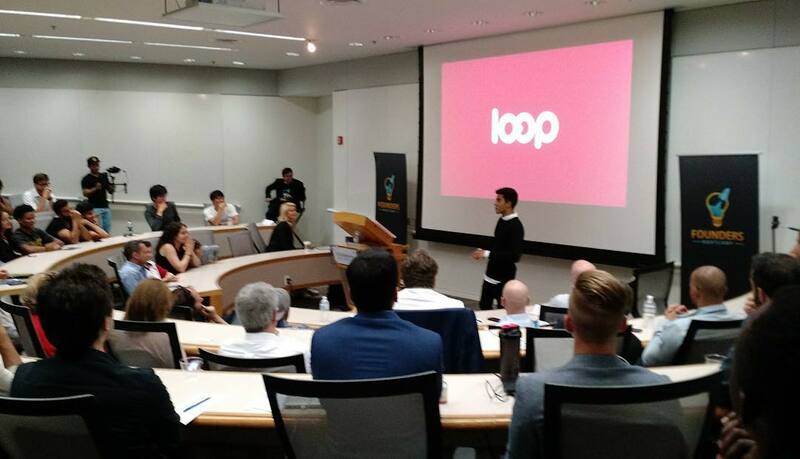 We’re very excited.” Loop’s new version will feature first-to-market safety features that will not only make hosting a party more fun, but more safe. The Roar sat down with Asherian to discuss the app and received additional information through email from his partners, Bekhrad and Pourmorady. How long did it take you to finalize the whole concept of Loop? The concept of Loop is ever changing and improving. Something we believe at in Loop is never trusting our own assumptions. We always need to iterate and reiterate, and test with our market. The mission of Loop, though, has never changed: to make hosting parties worry free. Where is Loop going to next? Our initial version of Loop has now been on the App Store for around six months. This beta was built around the high-school market, which we looked at as our necessary starting point. We learned so much from this beach-head market and we are now in the process of expanding to college. We are lucky to say that we have just brought on Marshall Demirjian (a freshman at IYA at USC) who will lead our development journey. In our new product, built for fraternities, we will be the first platform to bring unique and necessary safety technology to make greek-life more manageable and safe. We are launching this product just in time for Halloween. We are proud to say that we have a great team of advisors that have been super influential through this entire journey. Sean Rad, Co-Founder of Tinder, has given us invaluable advice and has been critical to our process. We are lucky to be receiving advisor-ship from someone as knowledgable as him. We are also being incubated by the Founders Bootcamp accelerator. Founders Bootcamp is a program that every single high schooler should be a part of. We, at 17, are getting real funding, real exposure, and real access. We are grateful for Founders Bootcamp, who selected us out of 1,110 applicants and provided us with investment. What is the most rewarding aspect of this project for you? No doubt, it is seeing Loop on someone’s phone, and better yet, seeing a host have a great hosting experience as a result of using our platform. It is amazing to see that we are actually adding value to our hosts and guests and improving experiences. Ultimately, that is what drives us to do more. If you could give only one piece of advice to upcoming entrepreneurs, what would that be? Do something you love and find people that share your same core values and mission. At Loop, we all are deeply affected by the problem that we’re solving. That is why we are super passionate about what we’re doing. Every single person has the skills needed for entrepreneurship within them. Everyone has passion for at least one thing. If you follow your passion and enjoy what you do, you are an entrepreneur. Entrepreneurship is all about having a drive towards accomplishing something you feel connected to. If you truly believe in something a problem, game, product, etc, there is nothing stopping you from succeeding. Entrepreneurship is in any one who wants life to be better. is understanding the purpose of something, and figuring out how to make the current solutions better based on the problems with current solution. Find good opportunities, and follow them, and you will succeed. When you started this project, did you have to deal with rejection? What’s your advice for young entrepreneurs on how to be prepared for rejection? Everyone gets rejected, especially when you’re starting so young. The key for us has been to develop relationships that matter in our space, which, in turn, allow us to overcome the credibility deficit of being so young. Be yourself and prove to them that you are a master in the field that you’re in, show them that you’re the best person to be doing what you’re doing. How do you manage to find time to work on developing loop and still have time for school work, social and family life? What habits helped make you successful? It’s all about balance. At Loop, we believe in efficiency and doing the things that matter most. It’s simply impossible to do everything at once, especially in the midst of applying to college, standardized tests, etc. A habit that has helped us out a lot is logging our time. Whether we’re taking a water break from work, doing homework, or working on Loop, we log it. Then, after we’re done with our work session, we reflect on how we did and note any areas we need to improve in. We are off to Silicon Valley to pitch our startups to Venture Capitalists in October, through Founders Bootcamp. We are also building our new platform that is made for college students that will launch before then. We are excited for what is to come. How do you define success, and do you believe you’ve achieved it yet? Success is incremental. We believe that we are on path to achieve success because we are constantly improving and taking note of what we need to do better. You can stay up to date with Loop’s progress here: partywithloop.com.